A great web design is only as good as the leads it produces. Here at Lamplight Digital, we work hard to test assumptions about what we think may work to convert traffic into leads through split testing and conversion optimization. The results are sites that are fast, functional, lead-producing, and beautiful to look at. To see an example, check out our demo site by clicking here. Our team has had over 10 years of experience in the water treatment industry and have tested hundreds upon hundreds of images, calls-to-action, value propositions, offers, headlines, subheadlines, and forms to come up with something that’s truly a culmination of science and art. What’s more is we offer our clients a brand new, modern site for just a fraction of what you’ll pay a web development firm. Our goal is to keep our clients happy long-term so the upfront cost is less important to us. Many web companies have a “set it and forget it” strategy where they’ll build a site and wait for you to tell them when to update it. We’re the opposite – we track every visitor to your site and know where they came from, what they viewed and even poll them to see what we can do differently to enhance their experience. We’ll work in partnership with you to keep your site updated, however, we’ll let the market tell us what they want to see and how they want it delivered. This is how we consistently help our clients convert traffic at 20% on average. To learn more about our web design services, schedule a call with us today or email us at info@lamplightdigitalmedia.com. 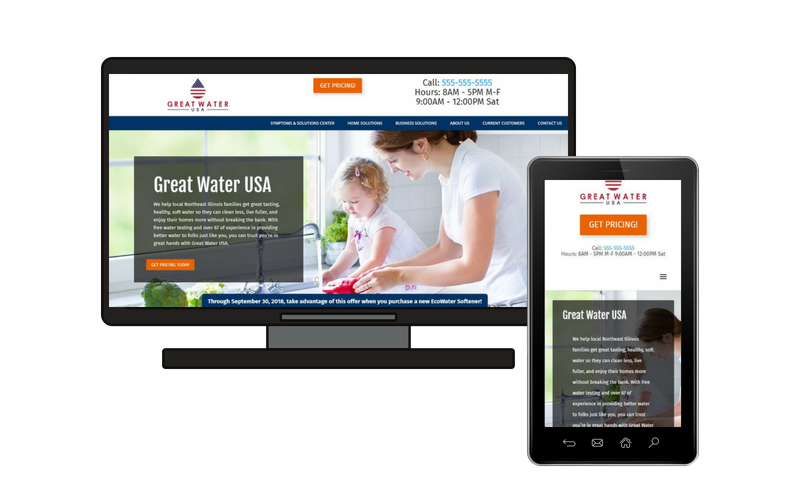 Lamplight Media is a full-service digital agency helping local water treatment companies grow using cost-effective, strategic methods that have been proven in this industry all over North America.